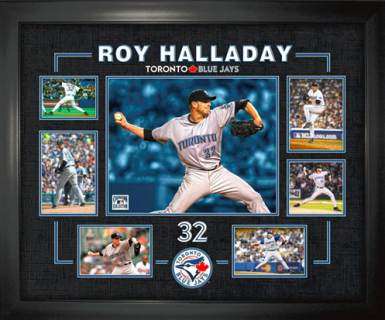 This Roy Halladay framed career collage has been specially designed for Roy's Jersey retirement on March 29th, 2018. Halladay was drafted 17th overall by the Blue Jays in the 1995 MLB Draft and played 12 out of his 16 MLB seasons with the Jays. 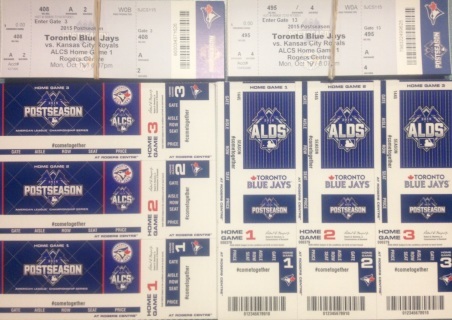 During Halladay's time in Toronto he won a AL Cy Young Award and made six All-Star Game appearances. 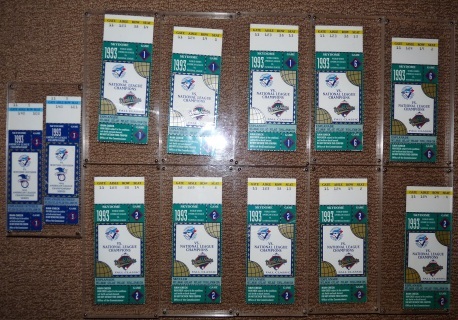 In 2003 Roy had a career best 22 wins in a single season for the Jays. 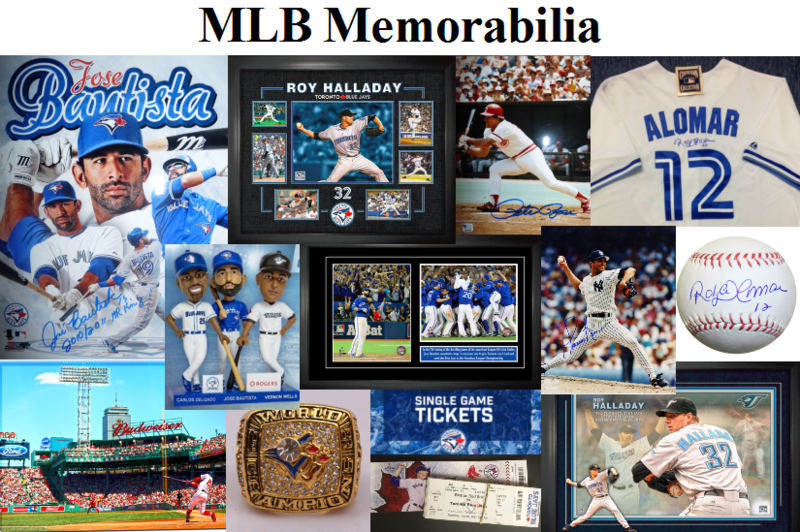 Halladay is widely considered one of the greatest Blue Jays of all-time. This item is framed in black wood with acid-free matting and a decorative printed v-groove. Finished frame size: 29.5x37.5"
This 20x29" canvas features America's Most Beloved Ballpark, Fenway Park home of the Boston Red Sox and their star center fielder Mookie Betts. 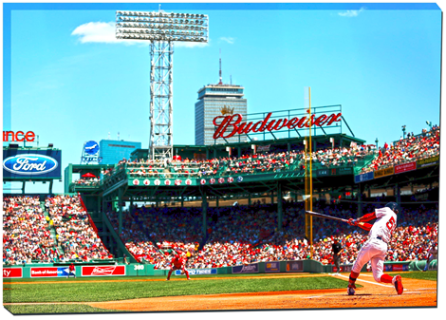 This officially licensed Major League Baseball image has been printed onto high quality art canvas and turned into a collectible for any Bosox fan. The canvas is professionally stretched and mounted on to the back of a 1" deep wooden frame. 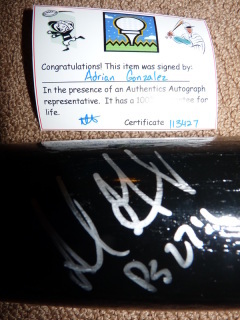 Perfect for any home or office and a unique addition to any fan's collection. 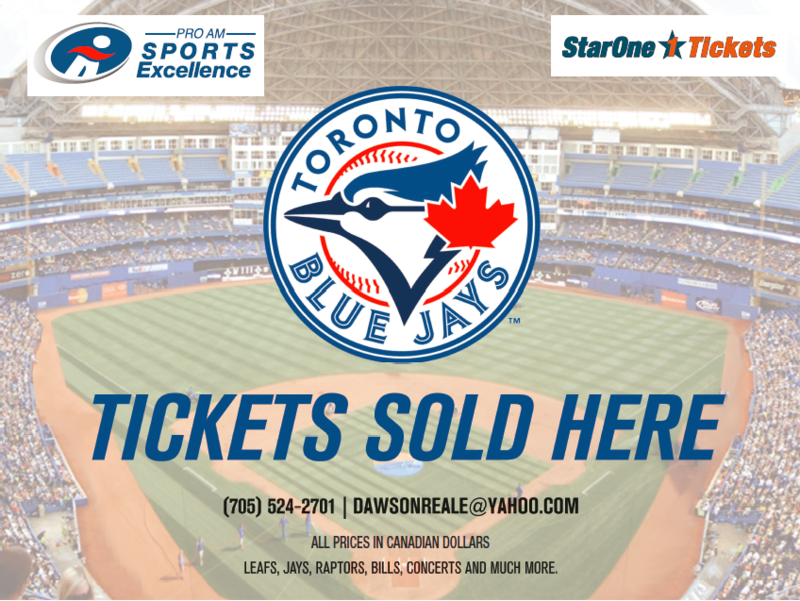 This brand new, never before opened bobblehead was given away on Sunday May 29th, 2016 when the Toronto Blue Jays took on the Boston Red Sox at the Rogers Centre in Toronto. 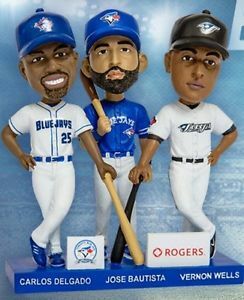 These bobbleheads were given away to the first 20,000 lucky fans and sold out in less then 30 minutes! 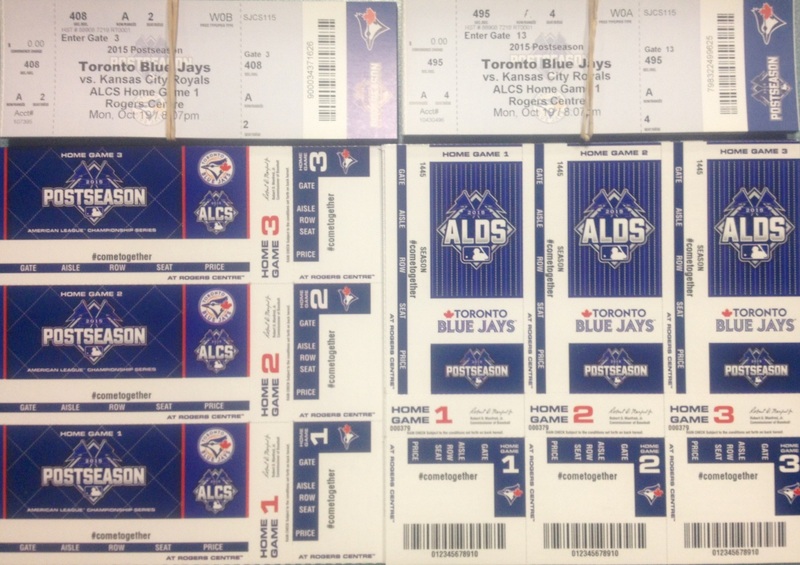 ONLY 1, please contact us before buying! 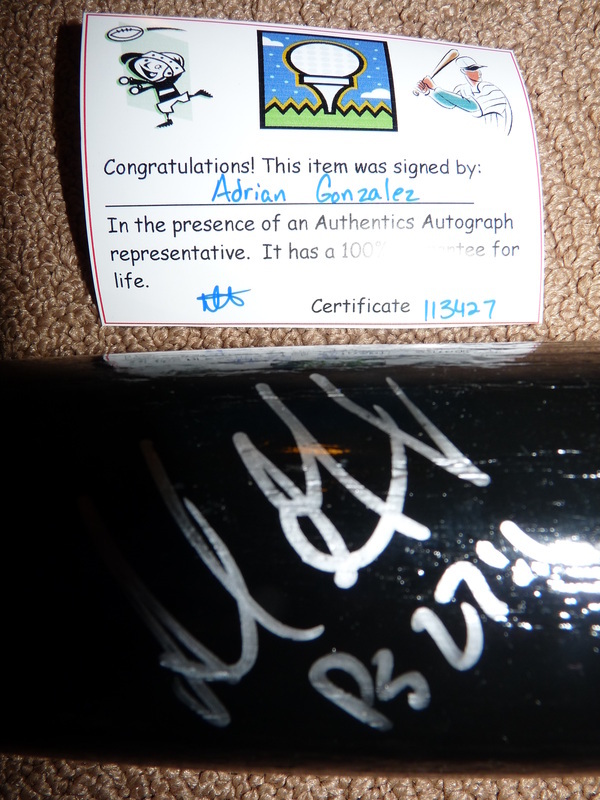 Hand signed Rawlings Official MLB Black Model Big Stick Bat with a silver sharpie by Adrian Gonzalez, includes a certificate of authenticity. 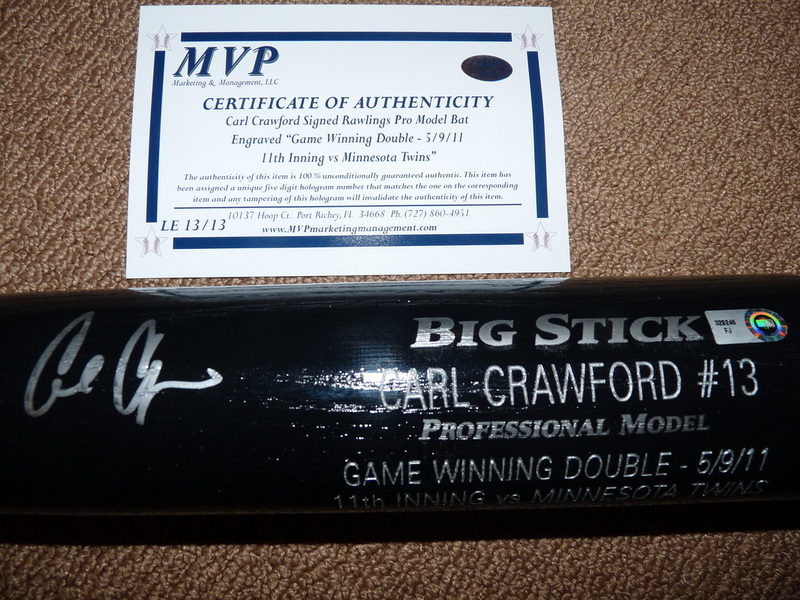 Hand signed Rawlings Official MLB Black Model Big Stick Bat with a silver sharpie by Carl Crawford, includes a certificate of authenticity. Engraved "Game Winning Double - 5/9/11 11th Inning vs Minnesota Twins Limited Edition 13 of 13"